The first time I had an A to Z wine, my husband and I were in Vegas. We were hungry, walking through Ceasar’s Palace and stopped at a restaurant that would take us right away. We weren’t in the mood to spend a lot, but wanted wine, so picked a Pinot Gris. It was from A to Z in Oregon and we were pleasantly surprised. Fast forward to a few weeks ago when I was in a grocery store hunting for a rose for one of our outdoor movie nights. 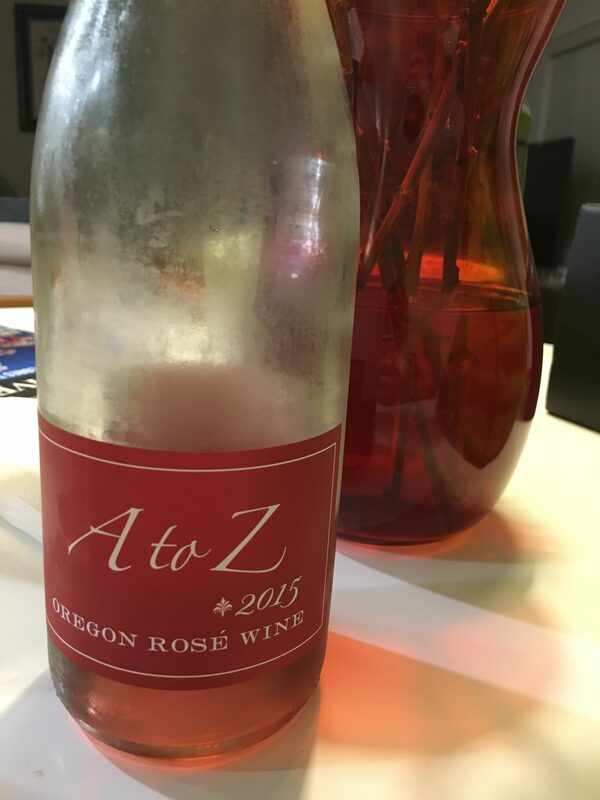 I was trying to spend $12 or under and then what do I see but another A to Z wine, the 2015 Rose. This dark rose is a bit tart up front, but an easy drinker. Lots of cherry, smooth finish, very juicy. When to drink: Rose all day! Jk, jk. This one’s nice for sitting in a hammock as you race through a summer novel.